BODY CONTOURING • LIPOSUCTION • MOMMY MAKEOVERS • MORE! Our office policies are predicated upon honesty and integrity to provide safe, discrete care in an unparalleled setting. Stuart Florida Breast Augmentation Specialist P. Dudley Giles is a Board Certified Plastic Surgeon who focuses his practice exclusively on cosmetic surgery procedures of the breast & body including: breast augmentation, breast lift, breast reduction, arm lift, thigh lift, liposuction and body contouring. After surgery, patients have the option of recovering in the luxurious Renaissance Suites. These waterfront suites provide the most comfortable, private and exclusive setting for a unique plastic surgery experience. Stays at the suites can range from one night to weeks. 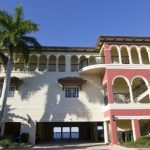 Since opening his practice in Stuart Florida in 2002, P. Dudley Giles has gained an impeccable reputation and loyal following from patients in Boca Raton, Jupiter, Port Saint Lucie and even as far away as Miami. Dr. Giles and his esteemed colleague, Dr. Stephen C. Adler, were voted “Best Cosmetic Surgery” in 2009 by Florida Monthly Magazine. Come in for a complimentary consultation and see why Giles Breast & Body Plastic Surgery has become the plastic surgery center of choice by some of South Florida’s most discriminating clientele.